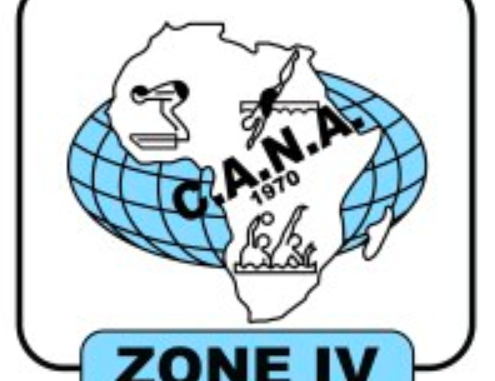 6th February 2019 – A strong contingent of athletes will be representing South Africa at the Confederation Africaine De Natation Amateur (CANA) Zone IV Junior Championships in Windhoek, Namibia from 16th to 20th February 2019. The competition will feature some of Mzansi’s best young talent in the Water Polo, Open Water and Swimming sections. The SA swimming team finished second behind Zambia at last year’s edition in Malawi where they returned with a total of 55 medals – 22 gold, 20 silver and 13 bronze. The Open Water races will be held over the 3 and 5km distances, featuring some of the country’s medallists from the inaugural 2017 CANA Zone IV Junior Open Water Swimming Championships. Swimming SA CEO, Shaun Adriaanse stressed the importance of the country’s young athletes gaining valuable experience at the regional competition. “The CANA Zone IV Junior Swimming Championships does not only allow our rising stars to test themselves against top competition but it also fosters a sense of solidarity with our regional neighbours,” Adriaanse said. Candice Clifton-Smith, Ruby Dixon, Kelly Ann Brown, Lise Coetzee. Kelsea Munro, Lwethu Mbatha, Megan Shepherd, Ashton Volkwyn, Omolemo Makombe. Awande Nkuzi, Kian Keylock, Leshen Pillay, Ozzy Aromin. Ian Brijlal, Felix Maseko, Jivall Bodlall, Jakobus Terblanche, Cameron Casali. Morne Campbell, Tiara Finis, Jay Connor, Matthew Tucker. Teegan Pio, Robyn Hough, Patrick Hepke, Connor Albertyn, Christian Apples. Catherine van Rensburg, Leigh McMorran, Alex Wehmeyer, Dennis de Villiers. Trinity Hearne, Tasneem Ibrahim, Muhammed Adam, Hanre Louw, Flippie van der Spuy, Refiloe Mashao. David Leukes, Leshen Pillay, Xavier Beukes, Muhammed Adam. Andrew Botha, Andrew Good, Casper Mlaba, Christo van Loggerenberg, Duran Hall, Jaytee Abrahams, Joshua Medcalf, Lonwabo Mfikili (GK), Luka Rajak, Nicholas Steinhagen, Ross van Breda, Tigran Sennett, Zachary Porthen. Alexander Thomas (GK), Braden Delomoney, Brandon Delport, Chad Uys, Declan Hutton (GK), Jack Awylward, Jordan Harrod, Keagon Mnyaka, Kyle Cohead, Liam Gordon, Manqoba Bungane, Mudathir Solomon, Sebastian Riley-Neilson. Caitlin Stott, Esihle Zondo, Hayley Hansen, Iman Akomolafe, Jenna van den Bosch, Jo Williams, Josie Apps, Julienne Barnard (GK), Keirah van der Loosdrecht, Lauren Williams, Olufunke Gando (GK), Rebecca Currie, Sophie Hanssen. Abigail Milella, Almaas Bailey, Bianca Kennerley, Georgina Bester, Gia Allasio, Jordan Laguma (GK), Kerry-Anne Lentz, Kristin Hatley, Leah Goodman, Mia Baxter-Eliot, Oluchi McMurray (GK), Paige Black, Tara Hastings, Zahraa Bodiat.